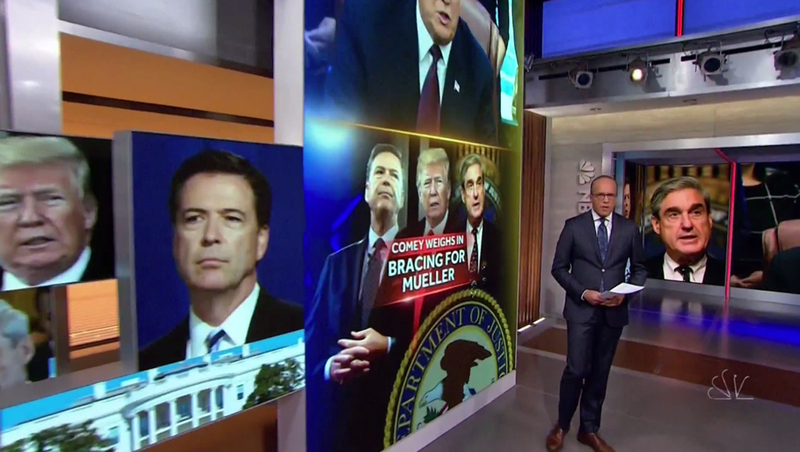 NBC News is already showing signs of going “all in” on coverage of Robert Mueller’s investigation final report — and it hasn’t even been released. Both the Thursday, March 21, 2019 edition of “NBC Nightly News” and Friday, March 22, 2019 “Today” lead with, as “Nightly” anchor Lester Holt put it, the “palpable” anticipation of the report’s release. “CBS Evening News” and “ABC World News Tonight” both lead with news that both planes involved in recent Boeing 737 Max 8 crashes were not equipped with a pricey upgrade that could have prevented the accidents. “World News Tonight,” meanwhile, did cover the Mueller investigation as its second story — with a focus on reports that no indictments are coming as a result of the investigation. “CBS Evening News” did not cover the investigation Thursday. On “Nightly,” meanwhile, correspondent Kristen Welker reported that people close the investigation would be “surprised” if there were more indictments. 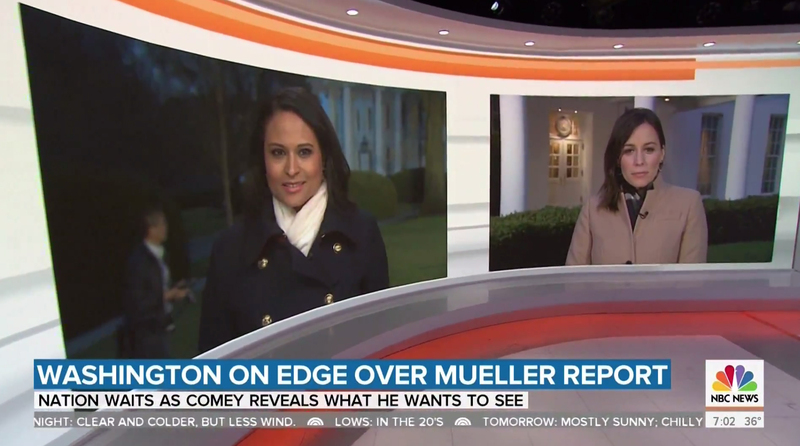 ‘Today’ had Kristen Welker and Hallie Jackson both live at the White House — one on the north lawn and the other in front of the West Wing — and showed off their live shots in this ‘video on video’ and ‘walk and wander’ shot using Studio 1A’s video wall. After this coverage, “Today” rolled into coverage of reports that White House advisers and Donald Trump family members Jared Kushner and Ivanka Trump are using personal email accounts and Trump’s continuing attacks on the late Sen. John McCain. “Today” counterparts “Good Morning America” and “CBS This Morning” both lead with the story of troops in Afghanistan being killed, though they did include continuing coverage of the Boeing story and Mueller.